Has 5* Reviews, have seen one up in our local store & the photos do not do it justice! Light up lamp and a flushing toilet! Our newly designed Grande Manor House is a beautifully tall, wooden doll house which little one's will love playing with! The luxury manor house comes furnished with 10 pieces of bright and colourful pretty pink and purple furniture. Highly detailed with a decorative roof plus an outdoor patio for your dolls' to get some fresh air! 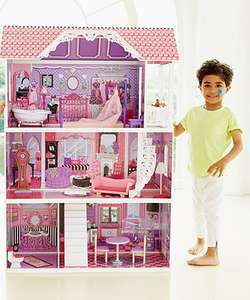 Walk your dolls' up the 2 staircases including a spiral one leading up to the dolls bedroom for a good night's sleep! The mansion is great for encouraging imaginative play and playing with friends will boost social and communication skills! I saw this in store the other day. It’s lovely. ..for £135. It's a bit bigger than this ELC one, but I think the ELC one is better value for money. Ah,my little girl had this a couple of years ago. It’s a lovely dolls house and can fit Barbie sized dolls. Heat added! Thank you. That is my daughter sorted. Mothercare also have the same one for the same price. Good price. I have bought this one from …Good price. 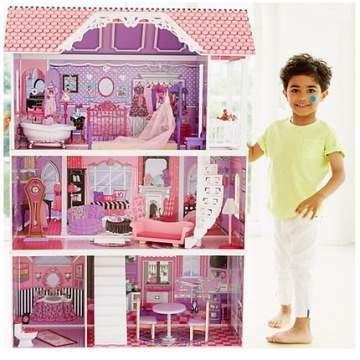 I have bought this one from Costco:https://www.costco.co.uk/view/p/kidkraft-grand-estate-dollhouse-26-pieces-of-furniture-3-years-950169..for £135. It's a bit bigger than this ELC one, but I think the ELC one is better value for money. @Rastafari nice!! That was my original plan, then a house move meant I had to downgrade. Got the Magnolia Mansion in mint condition for £40 though :). 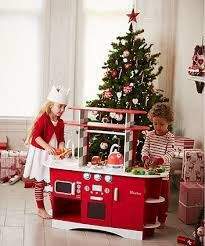 @mc11 yeah it's a Barbie one :). The one in this deal doesn't have a lift though :/. Why is there a boy playing with it?